 $13,952.62 was recently awarded from a number of funds administered by the Hillsdale County Community Foundation (HCCF) to area non-profit organizations for targeted projects or programs to benefit Hillsdale County residents. Funds for these grants come from a number of Field of Interest funds at the Foundation. Hillsdale County Agricultural Society, $2,881.98 for volunteer recognition. Hillsdale Community Library, $675 for the summer reading program. Hillsdale Community Schools, $2,000 for the “Davis Closet” program. Field of Interest funds allow donors to support broad areas of interest, such as education, the arts, or youth services. The Foundation makes grants to the most appropriate programs or organizations within the specified field. While a donor directs a Field of Interest Fund established from its creation, the maintenance is left up to HCCF. HCCF’s professional staff continually monitors changing community needs so that donors can be sure grants made in the name of the fund make the most impact in the specified field of interest and create a personal legacy of giving. Information regarding setting up any type of fund can be obtained by calling the Foundation office Monday through Friday from 9:00 am – 4:00 pm, or by stopping at the offices located at 2 S. Howell Street, Hillsdale, Michigan. Information is also available online at www.abouthccf.org.